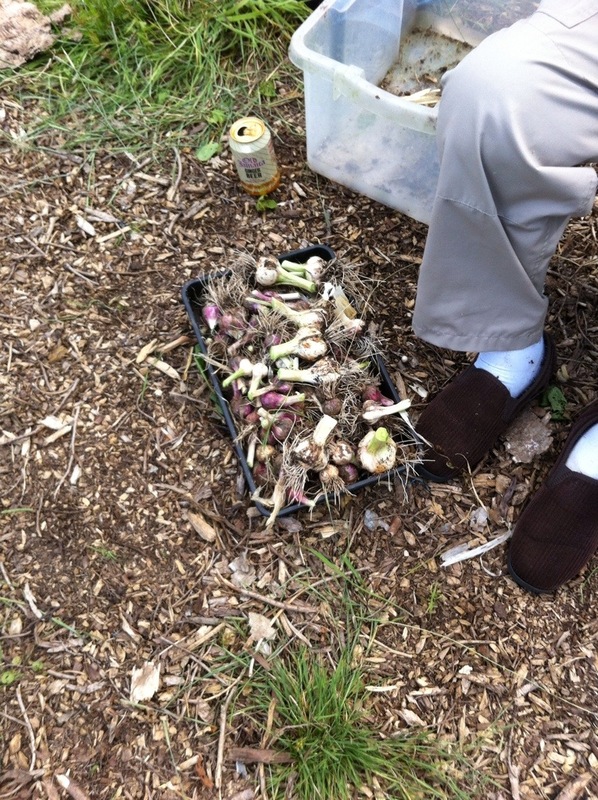 Have lifted the garlic from the largest bed. Have to say, that I’m not convinced by this years crops. Purple wight was this years go to, in previous years it has been brilliant. Yielding big fat juicy cloves. 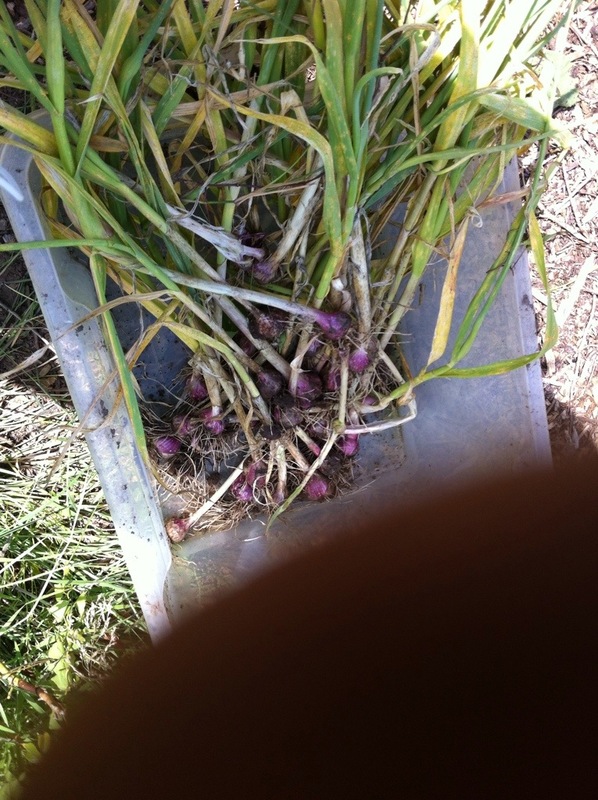 This years crop is smaller in bulb and Clove size. The vayo and sultop does appear to have done better. There is further evidence for putting it in raised beds. Now left to dry out and use as and when. Looks like you have cut the tops off too…..why? Shouldn’t the tops have been left on to dry out properly? If you’ve still got the tops, you could eat them as well – before they dry.